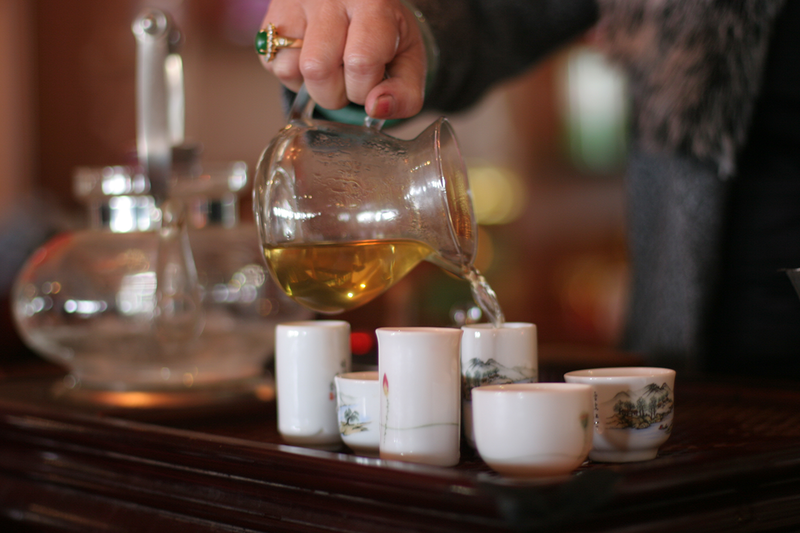 When I tell people that I sometimes taste 50 or 100 teas a day, or even more, many are surprised, and ask: how can you try that many teas and still taste something? 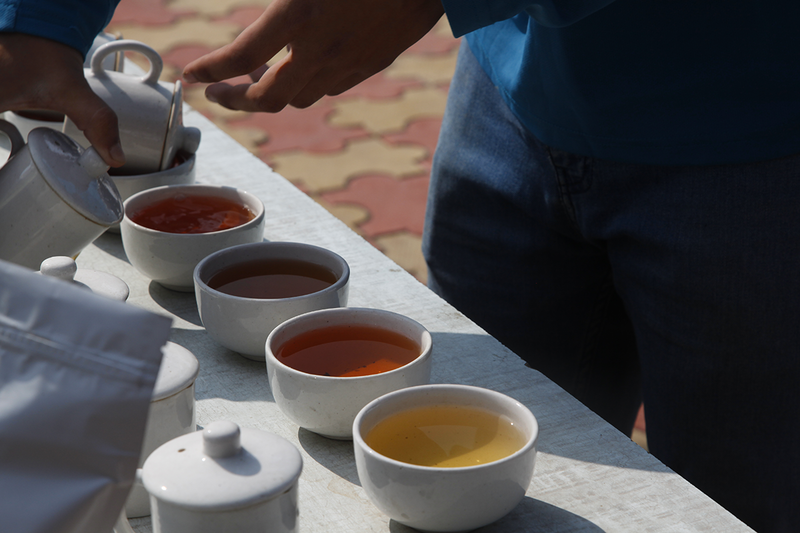 In fact, it’s easier to taste 20 teas than just one, especially if they come from the same terroir, because as I move from one liquor to the next, comparing how long they linger in the mouth, their flavour and their aromatic profile, it becomes quite easy to form an opinion on each one. When you taste a single tea, you have to be a complete master of tasting techniques and have a solid knowledge of the typical characteristics of that type to be able to form a proper opinion. The use of an aroma cup offers a unique tasting experience. It allows you to focus on olfaction – the smell. As soon as it has been filled, the aroma cup is emptied into the tasting cup. The former retains the tea’s aromas thanks to its tall, narrow shape. You lift it to your nostrils and try to distinguish each note left by the liquor. A few minutes later, you taste the tea itself, by which time it will be at the perfect temperature. My first trip to Malawi was just over three years ago. Until then, nobody had sold tea from that country in France, and I’m delighted to have found some very good teas there, which have been well received among tea enthusiasts. 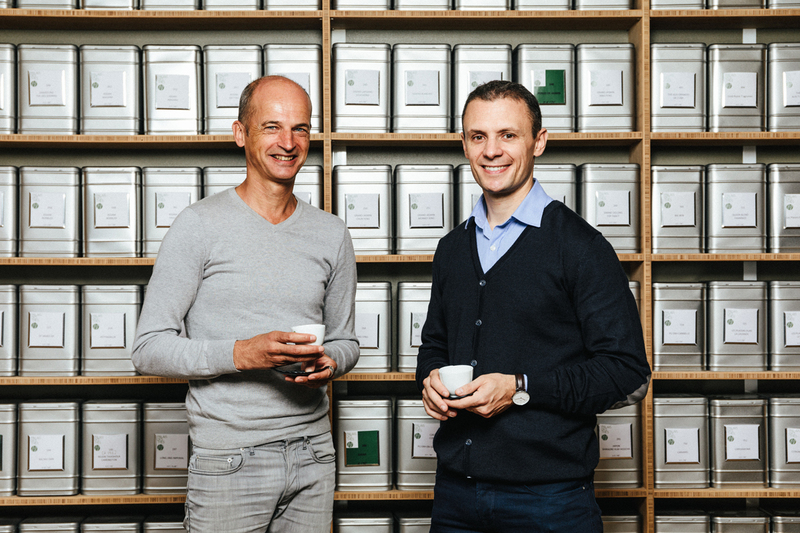 In a few days’ time I will be back in the far south of this magnificent country to see teas being made, including a dark tea and a smoked tea, and to taste them with Alex and his team. 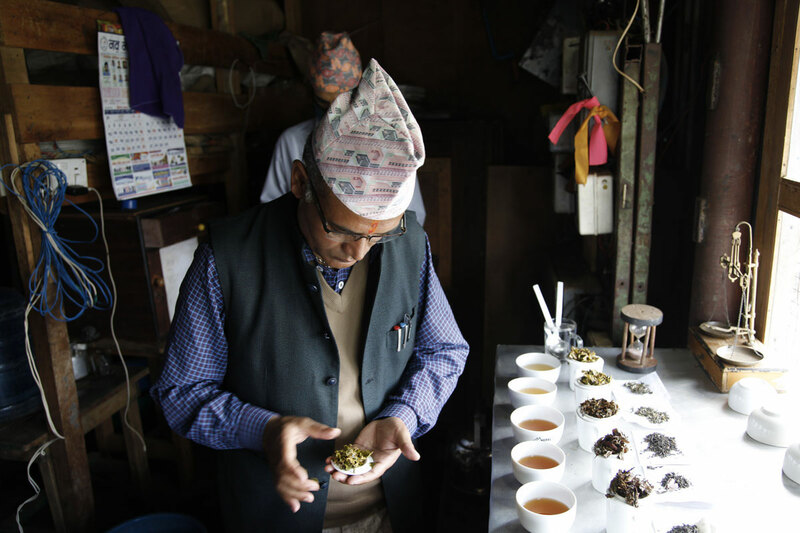 I will take some teas from other countries with me, which is something else I like to do in my work: encourage producers’ curiosity by getting them to try teas made by other people, not so they can copy them, but to inspire them and to connect them, through the tasting, with other farmers who have equally precious expertise. 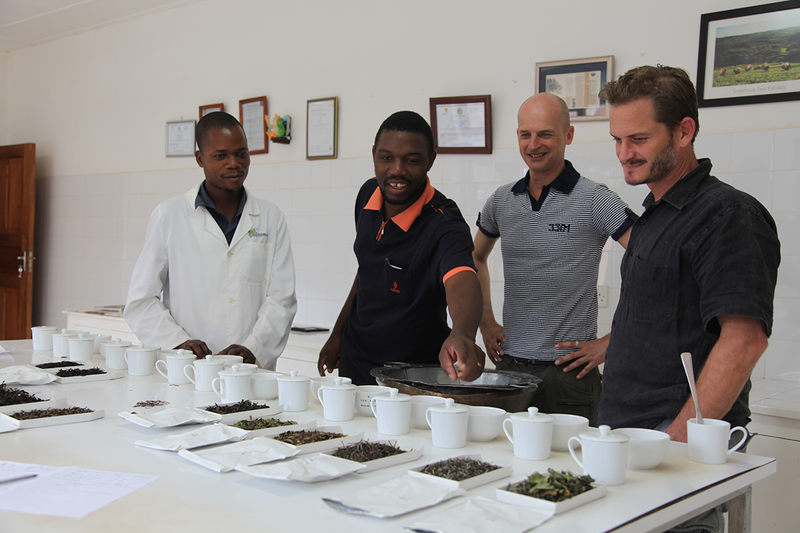 The Tea School provides training for Palais des Thés employees to ensure their knowledge and expertise is as good as possible. 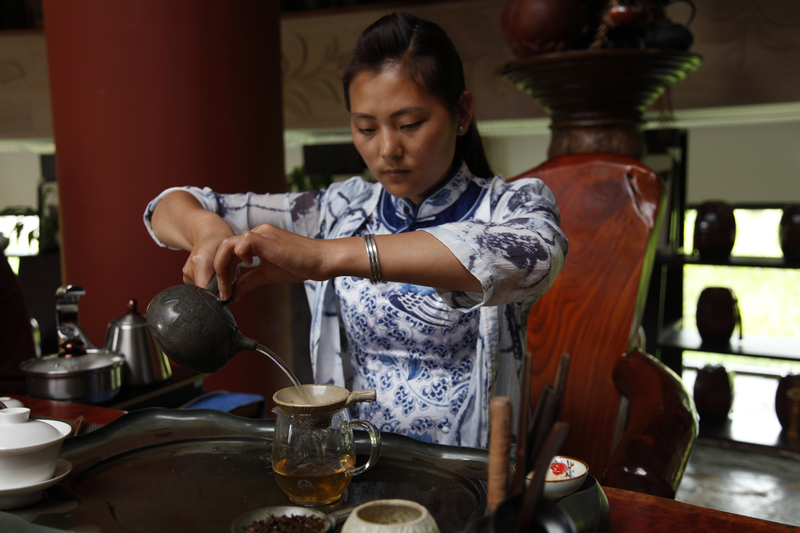 The school also offers courses for members of the public who want to learn about tea and the best way to drink it, and lastly, it trains food professionals. Recently, these have included teams from the Ritz and Bristol hotels in Paris. 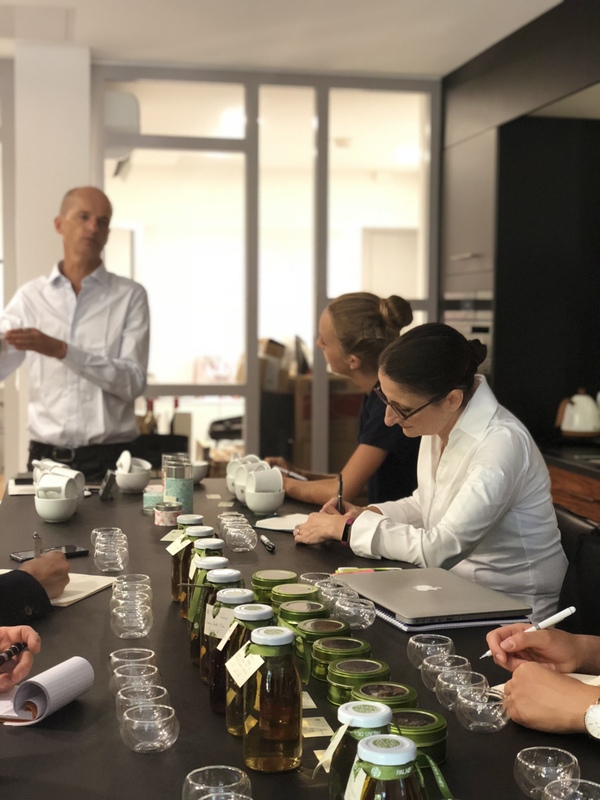 In this way, maîtres d’hôtel and sommeliers learn about tea, and many are passionate about the subject. Some have built up their knowledge over a long period, while others are thirsty to learn. 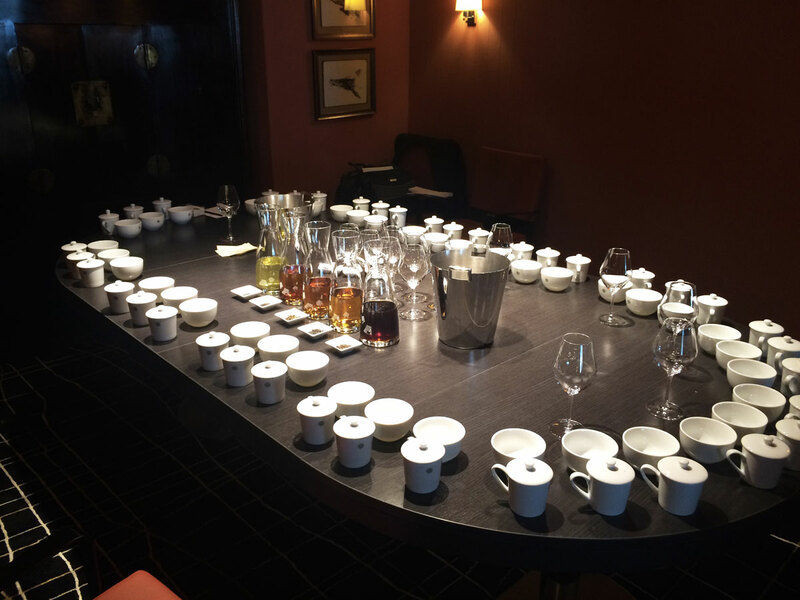 This is how we prepare the tasting session – this one took place at the Institut Paul Bocuse a few days ago. There are three tasting sets per participant, to taste three premium teas (Jade Oolong by Mrs Ming, Dong Ding Antique, Pu Erh Menghai XO Milésime 1999). In addition, five teas were infused in cold water and served in stemmed glasses: Ryogôchi Saemidori Shicnha Ichibancha 2017, Kagoshima Benifuki by Mr Kumada, Népal Kanchenjunga Gold Récolte Tardive, Satemwa Dark and Enjin Jukro from Korea. The leaves are examined in little dishes. However, we do not label the teas – I like people to taste them blind and if possible I hide the tea colour, without saying what type of tea it is, so that students can keep their minds clear and not form preconceptions. This is a refined approach to tea. It is about awakening the senses, describing a texture and a flavour, and recognising aromas. 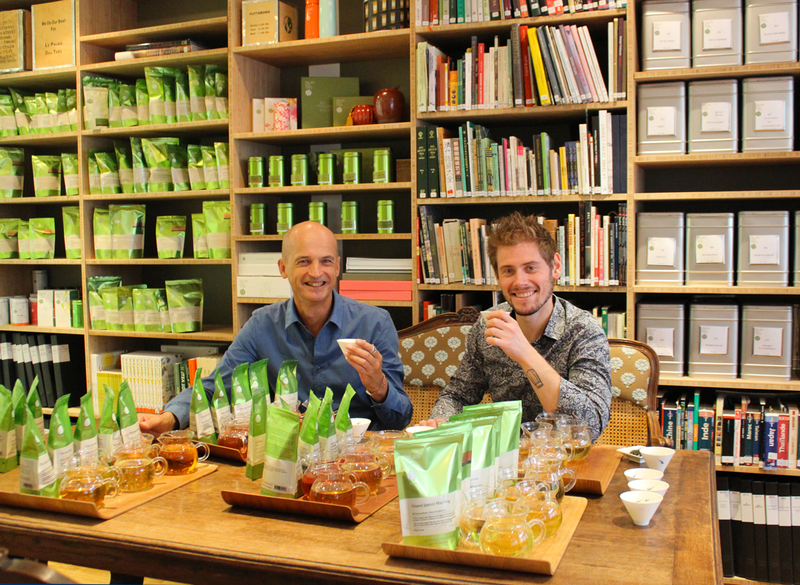 My dream is to initiate new people into this vocation so that one day they can become a tea sommelier!